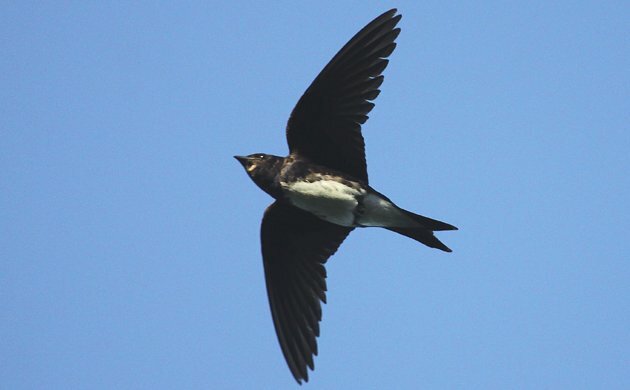 If you are a birder on a trip to a country you have not visited it pays to make every second count. 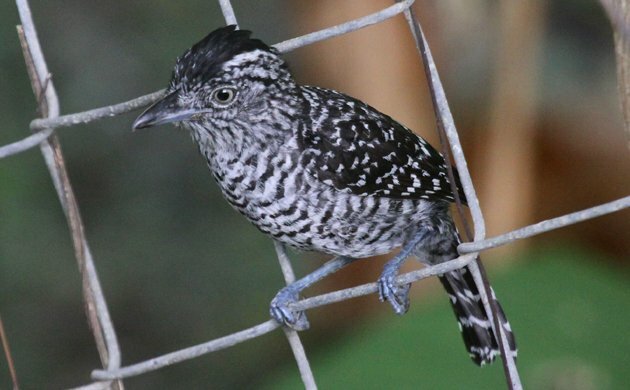 That is why on my trip to Trinidad and Tobago I was up early before the other participants and birding whatever area was available to me. Ditto for time between activities and generally whenever I had a spare moment. Birders are always birding and this goes triple for when we are in a place loaded with potential life birds. While we were in Tobago for the first couple of days of the trip we stayed at the Bacolet Beach Club Hotel, a gorgeous boutique hotel right on Bacolet Bay. I could see the sea from my hotel room and access it by going down the stairs behind the hotel through some nice garden-like vegetation. 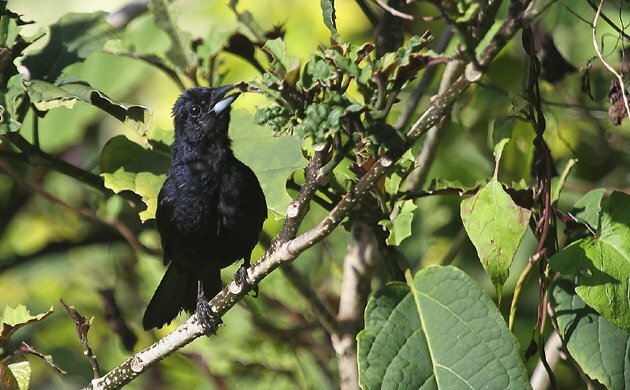 Gardens and seas are both great habitats for birds so even though it was a tiny area I was birding I saw lots of good stuff in my explorations of the grounds of the hotel. By getting familiar with the garden birds I also put myself into position to at least recognize when something more rare crossed my path. 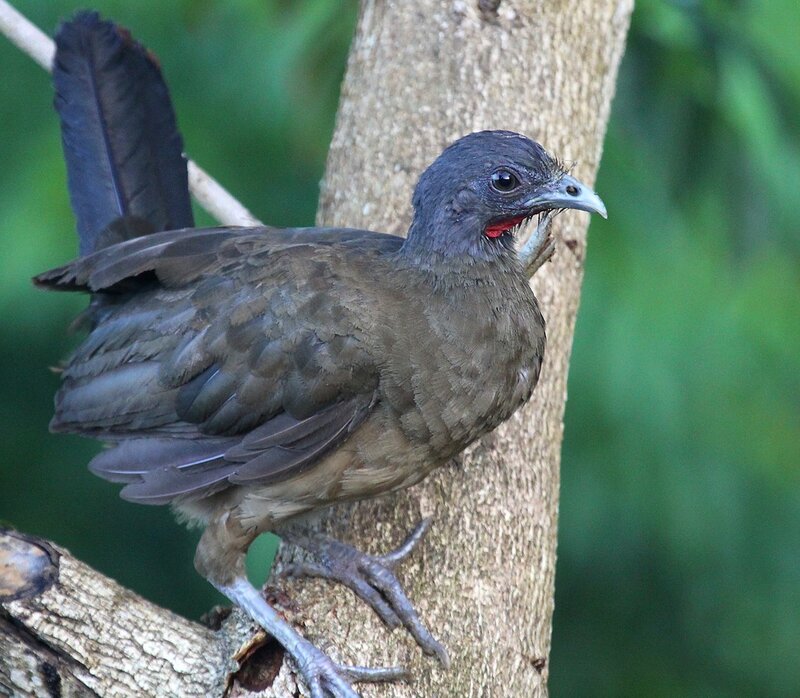 Whether it was the dirt common Spectacled Thrush (which are a pretty cool bird even if they are everywhere in Trinidad and Tobago) or the spectacular Trinidad Motmot, there was always at least one bird in view or in earshot at the Bacolet Beach Club Hotel. 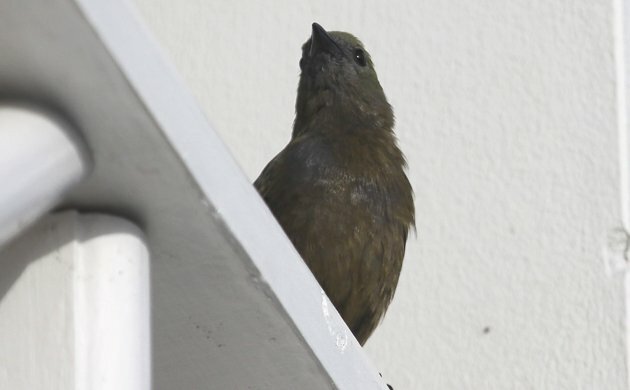 I particularly liked the Palm Tanagers which regularly checked the balconies for bugs while making their annoying, squeaky vocalizations and the Green-rumped Parrotlets which are just an absolutely adorable little bird. 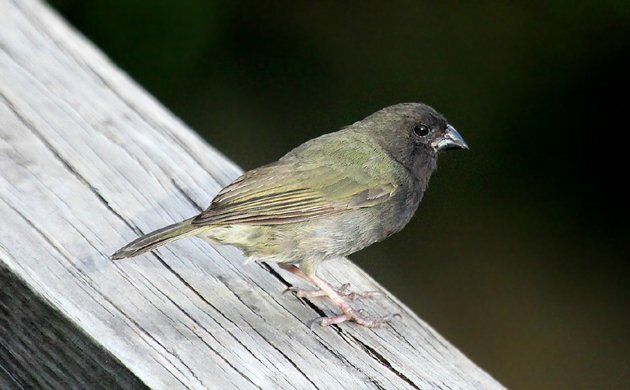 Perhaps the best bird I saw at the hotel was the Black-faced Grassquit, which I would have missed had I not seen the pair that regularly foraged along the staircase that leads down to the beach. 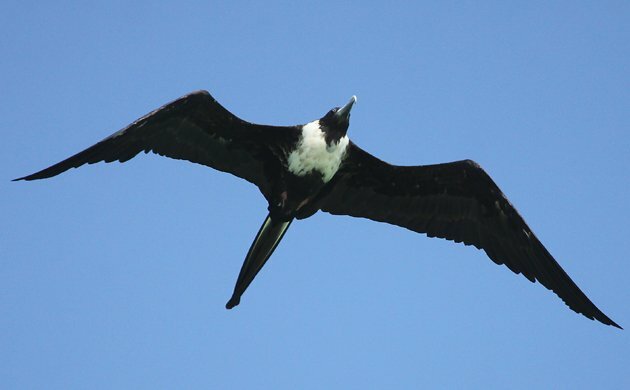 It paid to keep an eye to the sky as well because Caribbean Martins and Short-tailed Swifts often flew overhead, to say nothing of the near-ubiquitous Magnificent Frigatebirds and Laughing Gulls. My visit to Trinidad and Tobago was sponsored by the Trinidad and Tobago Tourism Development Company but the views expressed in the blog posts regarding the trip are my own. For more information about visiting Trinidad and Tobago a good place to start is the official tourism website. Sounds like a nice place to stay and see a bunch of birds! Hmmmmm, browns and blacks and a bit of white. Looks like a place where European birders would feel at home. 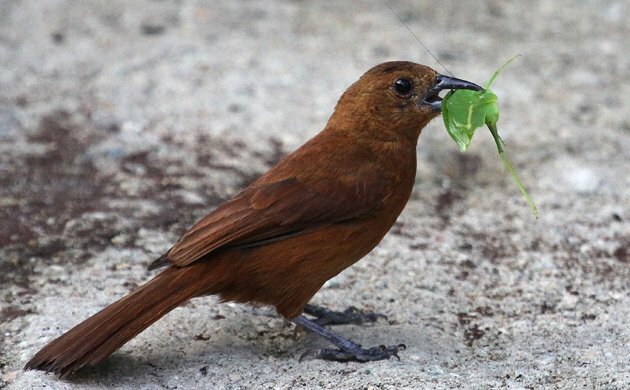 🙂 Yeah, and just tell us about the motmot, no need to show it, right? 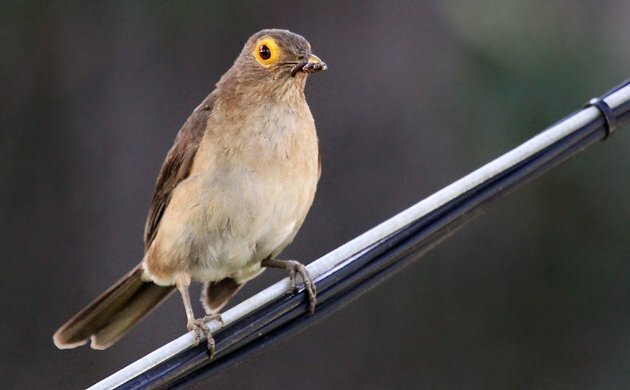 Actually, it is kind of weird that this post features a bunch of pretty bland birds. I would have included the motmot but it would not cooperate for photos and instead sat high up in a tree in the shade of the canopy. 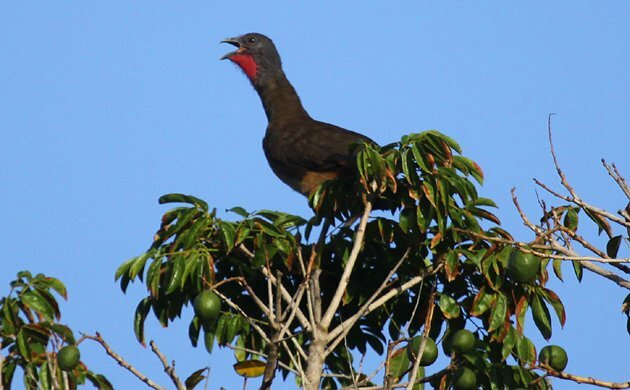 What is the National Bird of Trinidad and Tobago?